A well-designed air conditioning system for a large space such as a factory or warehouse is essential for an effective cooling solution. Temperature affects people’s mood and productivity, and it’s important to provide a comfortable workspace for everyone. Our professional Commercial consultants can assist you in determining the best type of air conditioning to suit your factory or warehouse environment. The team at Mouritz can make recommendations on the system that is most suitable for your commercial environment. 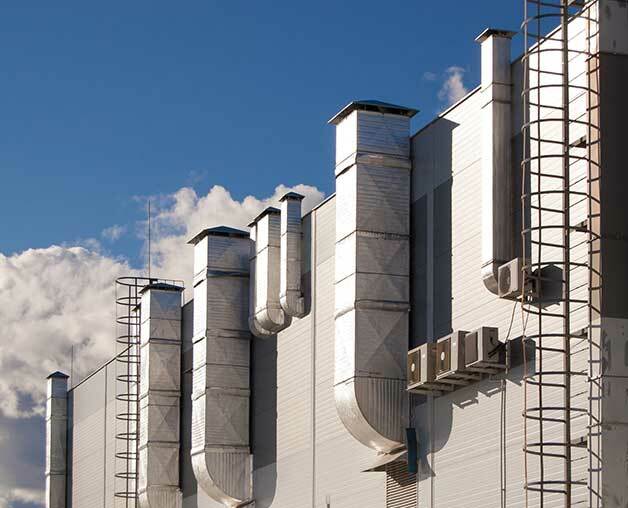 Depending on the layout of your factory or warehouse we may recommend an evaporative system. Particularly if the area is very large and open-plan. Cooling an area like this with refrigerated systems can be very expensive. However commercial evaporative systems are very cost effective to install and run, while also being much more environmentally friendly compared to their counterparts. Not only are evaporative system more efficient than refrigerated units, they also provide a healthier environment for your staff and visitors. Because evaporative systems provide a continuous cycle of fresh air rather than recirculating the same air, this will create a fresh and healthy working environment. For smaller buildings, a ducted refrigerated or split system may suit your needs. A ducted refrigerated air conditioning system has benefits of year-round comfort by also providing heat during winter. A split system may be suitable for single rooms, providing a low-cost set up. A regular service schedule is important regardless of the type of air conditioner chosen for your warehouse or factory. Maintaining your system well will ensure it continues to work efficiently throughout it’s lifespan. Maintaining you unit will also save money over the long term by preventing major problems and repairs. One benefit of evaporative air conditioners is the reduce maintenance costs. 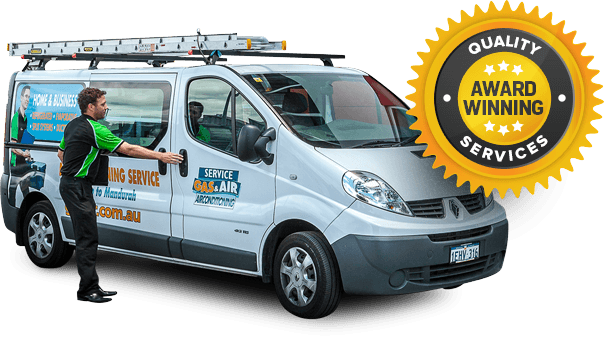 Although all types of air conditioners need to be regularly serviced. Depending on your system and the level of usage, it should be serviced every one to two years. This needs to be done by a qualified technician. can also help to identify small faults before they turn into large problems. the best performance lifespan of your new system. Cheap and unskilled installation can lead to expensive repairs, high electricity bills and poor performance over the long term.